Rodrigo y Gabriela are thrilled to announce today’s release of their first new music in over four years. “Cumbé” is available now via Rubyworks/ATO Records at all digital music retailers and streaming services. Recorded in session at Rodrigo y Gabriela’s Lumbini Studio in Ixtapa, Mexico, “Cumbé” – which means the dance of people of color, and, in this instance, also pays tribute to the Cumbia music of Colombia – marks an exciting first glimpse of the instrumental guitar duo’s hugely anticipated fifth studio album, due to be recorded in October and arrive at last in early 2019. The track is joined by a thrilling live session video, streaming now at the official Rodrigo y Gabriela YouTube channel HERE. In the meantime, Rodrigo y Gabriela have just embarked on a major North American tour, with highlights including two special performances this weekend at Los Angeles’ Hollywood Bowl accompanied by the Los Angeles Philharmonic Orchestra (Gustavo Dudamel, conductor), set for tonight, August 17 and tomorrow, August 18. The tour – which includes both headline dates and festival appearances – continues through mid-September. For complete details and ticket information, please visit www.rodgab.com/tour-dates. Five years since their last album, Mexican acoustic rock guitar duo Rodrigo y Gabriela are ready to embark on the next chapter of their remarkable story, with the release of the most ambitious music of their 20-year career together. Entitled Mettavolution, the band’s new LP will be released April 26 via ATO Records and is available to preorder here. Tune in to a Facebook Live event from Rod and Gab’s studio in Mexico today at 12 noon ET. Three years in the making, Mettavolution brings together Rod and Gab’s passionate interest in Buddhism, the history of human evolution and the liberation of the potential we have as a species; all expressed through the medium of two acoustic guitars. Conceived and composed in their studio in Ixtapa on the Mexican Pacific Coast, then road-tested in South America and the USA in 2017, before more fine tuning and further tweaks on their Australian tour of 2018, a long list of new material has been distilled down to six new Rodrigo y Gabriela compositions and one audacious, jaw-dropping cover song. Rodrigo y Gabriela have shared a first taste of the album in the form of “Echoes”, a cover of the Pink Floyd track, which takes up the whole of the second half of Mettavolution. Long-time Floyd fans, Rod and Gab lovingly pay homage to the prog-classic song off of the band’s 1971 opus Meddle, while at the same time weaving their own golden threads into its timeless textures, to create something exciting, contemporary and unforgettable. Deep-rooted fans who discovered Rod and Gab through their 2006 self-titled breakout album have long recognized the Mexicans’ mastery of their instruments. And while Rodrigo’s shimmering, hummingbird flourishes hovering over Gabriela’s extraordinary engine-room rhythm section are ever-present on Mettavolution, what sets this new record apart is the laser-guided focus on melody, energy and beat. There is not an ounce of excess baggage on the fresh, dynamic tunes that Rod and Gab present here, first on a white-hot side one that acknowledges the duo’s thrash-metal roots back in Mexico City and then gives way to the aforementioned incredible new arrangement of “Echoes,” inspiringly reimagined for two acoustic guitars. On working with noted producer Dave Sardy, the guitarists add: “Everything was ready for it, all the circumstances around the idea of agreeing to work with a producer came together right at the time we talked to Sardy. And our intuition was right. We talked to a lot of great producers before him but the conditions just weren’t there. When we talked to Dave it just felt we had arrived.” Recorded in Los Angeles, Sardy, — best-known for his work with Oasis, LCD Soundsystem, A Perfect Circle and Band of Horses — has helped Rod and Gab to a new recording career pinnacle. Through relentless touring and terrific word-of-mouth support, Rodrigo y Gabriela have established themselves as a hugely in-demand live act, particularly in America, where they sold out the Hollywood Bowl (two nights) and the Red Rocks Amphitheatre, both as recently as summer 2018. They have also sold out multiple nights at the Royal Albert Hall in London, Le Zenith in Paris and Radio City Music Hall in New York, not to mention venues in Australia, Japan and Europe. With career album sales well in excess of 1.5 million worldwide, Rodrigo y Gabriela have established themselves as globally successful artists who are eager to write new chapters in their already illustrious story. Rodrigo y Gabriela will be touring throughout the year. North American tour dates will be announced soon. Guitar virtuosos Rodrigo y Gabriela are thrilled to announce plans for a major American tour. The headline dates begin May 4 at Austin, TX’s ACL Live at the Moody Theater and then continues into early June. In addition, the renowned Mexican acoustic rock guitar duo will make a series of top-billed festival appearances, among them Cleveland, OH’s LaureLive (June 9). The new tour dates follow a previously announced European tour, set to visit Germany, Belgium, Luxembourg, Ireland, England, and France through April. For complete details and ticket information, please visit www.rodgab.com/tour-dates. The upcoming world tour celebrates Rodrigo y Gabriela’s hugely anticipated fifth studio album, METTAVOLUTION, due to arrive via ATO Records on Friday, April 26; pre-orders are available now HERE, with the first 500 pre-orders receiving an exclusive autographed postcard from Rod and Gab themselves. Their first album in five years, METTAVOLUTIONmarks the most ambitious music of Rodrigo y Gabriela’s remarkable two-decade career. Three years in the making, the LP embraces the duo’s passionate interest in Buddhism, the history of human evolution and the liberation of the potential we have as a species, all expressed through the medium of two acoustic guitars. Conceived and composed in their studio in Ixtapa on the Mexican Pacific Coast, the music of METTAVOLUTIONwas road-tested around the world on tour in 2017 and 2018 before being recorded late last year in Los Angeles with multiple GRAMMY-winning producer Dave Sardy (Oasis, LCD Soundsystem, A Perfect Circle and Band of Horses) behind the board. METTAVOLUTIONgathers six white-hot new Rodrigo y Gabriela compositions – much of which acknowledge the duo’s thrash-metal roots back in Mexico City – as well as an inspired, side-long cover of Pink Floyd’s “Echoes,” audaciously reimagined for two acoustic guitars. “Echoes” – originally found on 1971’s MEDDLE– is streaming now HERE. With career album sales now in excess of 1.5 million worldwide, Rodrigo y Gabriela have undoubtedly established themselves as the planet’s preeminent acoustic guitar duo, earning international acclaim and a fervent fan following with their awe-inspiring mastery of their instruments as well as a truly distinctive approach to melody, energy, and rhythm. One of the world’s most in-demand live acts, Rodrigo y Gabriela have spent much of their remarkable 20-year career performing on increasingly larger stages around the globe. Highlights include sold out shows at such legendary venues as New York City’s Radio City Music Hall, Los Angeles, CA’s Hollywood Bowl, Morrison, CO’s Red Rocks Amphitheatre, London’s Royal Albert Hall, and Paris, FR’s Le Zenith, along with countless other theatres and concert halls in North America, Europe, Australia, and Japan. 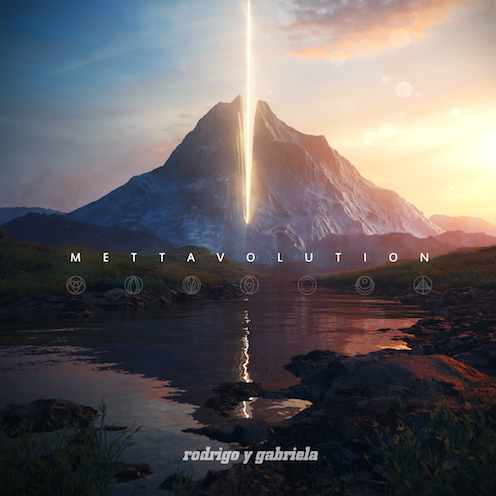 Renowned guitar virtuosos Rodrigo y Gabriela have announced today’s premiere of their visceral new single, “Mettavolution,” the latest song form their eagerly awaited new album of the same name. The band’s fifth studio album arrives everywhere on April 26 via ATO Records. The song’s arrival is heralded today with its premiere via Guitar World magazine. METTAVOLUTION is available for pre-order now, with the first 500 pre-orders receiving an exclusive autographed postcard from Rod and Gab themselves. 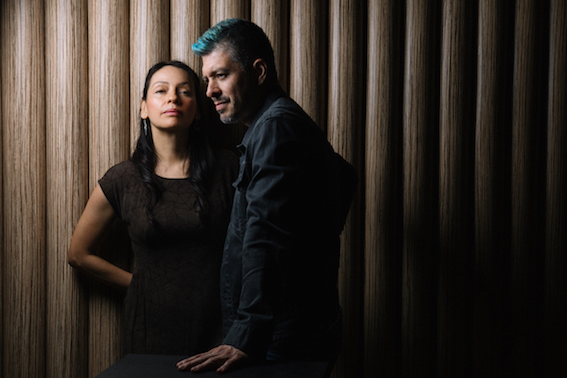 The duo’s first album in five years, METTAVOLUTION marks the most ambitious music of Rodrigo y Gabriela’s remarkable two-decade career. Three years in the making, the LP embraces the duo’s passionate interest in Buddhism, the history of human evolution and the liberation of the potential we have as a species, all expressed through the medium of two acoustic guitars. Mettavolution? “Metta” is a Sanskrit word for the meditative condition that produces compassion and benevolence. It is a “practical state of mind” as well, according to Gabriela, “something you practice like an instrument to become a better citizen, in a more evolved place.” Conceived and composed in their studio in Ixtapa on the Mexican Pacific Coast, the music of METTAVOLUTION was road-tested around the world on tour in 2017 and 2018 before being recorded late last year in Los Angeles with multiple GRAMMY-winning producer Dave Sardy (Oasis, LCD Soundsystem, A Perfect Circle, Band of Horses) behind the board. Mar 27 2019 RODRIGO Y GABRIELA PERFORMED ON JIMMY KIMMEL LIVE! Rodrigo y Gabriela performed the title track “Mettavolution” from their eagerly awaited new album last night on Jimmy Kimmel Live! — “Mettavolution” is the #1 most added track at Triple A radio this week. The performance features dance choreography by David Byrne collaborator Annie-B Parson. METTAVOLUTION, the band’s fifth studio album, arrives everywhere on April 26 via ATO Records and is available for pre-ordernow. Rodrigo y Gabriela have unveiled their new song, “Terracentric,” today, with a performance video showcasing the acoustic rock maestros’ fresh approach to the studio for their eagerly awaited new album, Mettavolution, out April 26 on ATO Records. Layered with slide guitar and shimmering effects over pounding beats, “Terracentric” is a prime example of the power displayed on the Dave Sardy-produced album. The song’s arrival was heralded earlier today via Billboard. “Terracentric” follows the release of the album’s first song, the title track “Mettavolution.” That song was the #1 most added track at Triple A radio. Rodrigo y Gabriela performed “Mettavolution” on Jimmy Kimmel Live! and features dance choreography by David Byrne collaborator Annie-B Parson. METTAVOLUTION is available for pre-order now. WATCH “METTAVOLUTION” ON JIMMY KIMMEL LIVE! courtesy of Jimmy Kimmel Live! With career album sales now in excess of 1.5 million worldwide, RodrigoyGabriela have undoubtedly established themselves as the planet’s preeminent acoustic guitar duo, earning international acclaim and a fervent fan following with their awe-inspiring mastery of their instruments as well as a truly distinctive approach to melody, energy, and rhythm. One of the world’s most in-demand live acts, Rodrigo y Gabriela have spent much of their remarkable 20-year career performing on increasingly larger stages around the globe. Highlights include sold out shows at such legendary venues as New York City’s Radio City Music Hall, Los Angeles, CA’s Hollywood Bowl, Morrison, CO’s Red Rocks Amphitheatre, London’s Royal Albert Hall, and Paris, FR’s Le Zenith, along with countless other theatres and concert halls in North America, Europe, Australia and Japan. Rodrigo y Gabriela’s new album, METTAVOLUTION, can now be heard in its entirety via NPR’s First Listen. ATO will officially release the Dave Sardy-produced album next Friday, April 26. 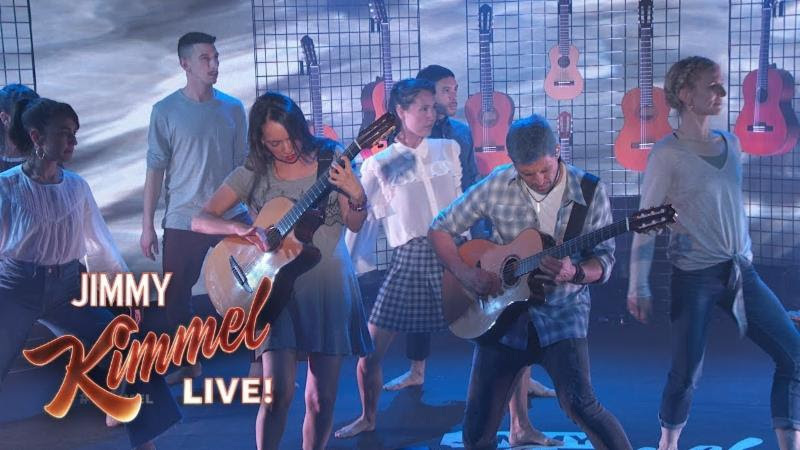 Late last month, Rodrigo y Gabriela performed the title track on Jimmy Kimmel Live!, featuring dance choreography by David Byrne collaborator Annie-B Parson. METTAVOLUTION is available for pre-order now.